I was looking for a holiday on my own, where I would feel safe and I would experience a beautiful view close to the beach. I am from Europe and I have never been on any of the South Pacific Islands. 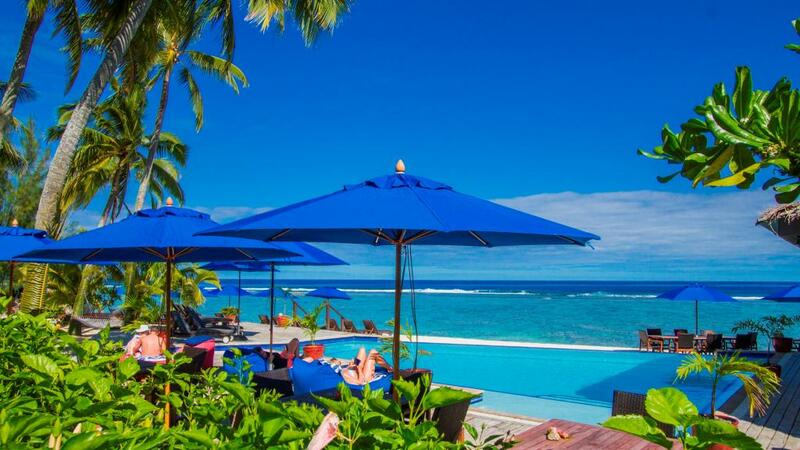 Rarotonga is stunning. The beach on the resort is beautiful, white sand and clear blue water. The resort is kept to a high standard and the people who work there are so friendly and helpful. I recommend especially the bar and the food. I made some lovely friends and I hope to come back there soon. You will definitely feel safe in the resort and on the whole Island and you can experience it by going on your own. It is a place worth seeing. Just perfect, beautifully set up and maintained. Lots of little extras to make it perfect. Also nice & quiet without children allowed. Grab a beachfront bungalow and enjoy the warmth and views of this lovely resort. Great access to the crystal clear lagoon. Nothing was a problem as the service was sensational.